Everything for Ana: Sponsored: Teach: documentary film about education in America CBS Sept 6 !! 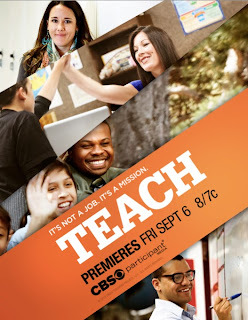 Sponsored: Teach: documentary film about education in America CBS Sept 6 !! This post is sponsored by Participant Media but my love of teachers is 100% my own. When I look back at my education and the inspiring teachers in my life, one sticks out for all of the right reasons. Inspiring, talented, patient and fun I had an excellent teacher at Hagan Elementary School named Richard Lahey. Mr Lahey ran the T.A.G program in the Spackenkill district in NY, and I was so lucky to be a part of it. He inspired me to embrace my creativity, challenged me in math, and sciences and really knew how to make learning fun. The T.A.G program was an amazing program that let me challenge my mind and my way of thinking and learning. It was small,and selective (I tested in with a few others) and took us out of our regular classroom to expand our knowledge and look at the world in a more challenging way. We participated in the Oddessy of the Mind program, took creative drama workshops and thought out of the box. Most and best of all, Mr Lahey helped me to pursue more learning than I would have without him. He was/is a great teacher. I can only hope that my daughter will have as many inspiring teachers in her educational journey. She is starting out with the best via the Wimpfheimer program at Vassar. It is a wonderful, nurturing and fun program for her age, and 3 days in she is already thriving and happy. "TEACH, Academy Award-winning director Davis Guggenheim’s third documentary film about education in America, airing on CBS on Sept 6 and Pivot on Sept 14, asks the question: What Does It Take to Be A Great Teacher Today? It is important and timely to look at the profession of teaching in an honest and practical way because it is estimated that within the next ten years, 65% of America’s teachers will retire. TakePart.com/Teach where you can view the trailer and find out how you can help play a role in keeping public education strong, vibrant and innovative. A two hour special television event presented by Participant Media, “TEACH” is set to debut on the CBS Television Network on September 6th at 8:00 pm ET/PT. Check more out here: Teach! Can't wait for this to air! Review: Lulalu Calendar Pad for my fridge! !